Anna Boniface seemed to have the world at her feet when finishing as the 2017 London Marathon’s fastest amateur female runner. 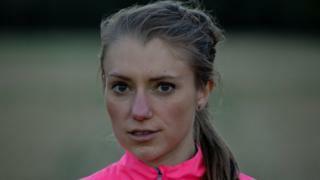 Her performance earned her an England team place in that autumn’s Toronto Marathon. The then 25-year-old finished the London race in two hours, 37 minutes and travelled to Canada six months later. But 10 miles into her international debut, Anna’s ankle fractured. “It was the breakthrough that broke me,” she tells BBC 5 live Investigates. But worse was to come for the Reading runner. In addition to the stress fracture of her ankle, tests found poor bone density, including osteoporosis in her spine, which made fractures a real risk. These symptoms were all hallmarks of a condition called Relative Energy Deficiency in Sport (Red-S). This occurs when sports people restrict their diet in the belief that constant weight loss will keep improving performance, to such an extent that some of the body’s functions begin to shut down. The condition can cause a range of health problems in men and women including a drop in hormone levels, a deterioration in bone density, a drop in metabolic rate and mental health problems. Anna, who works as a physiotherapist, admits she was aware of the condition but was so desperate to keep improving that she ignored the warning signs, which included not having a period for eight years. “It was a lot to do with my training volume and not eating enough – not being wide enough in my food groups, being restrictive with carbohydrates,” she says. “I was training twice a day, I was running 100-plus miles a week at times, and you burn up a lot of energy with that, and from a runner’s perspective you get it into your mind that you need to be this race weight. The state of Anna’s health was discovered before any more serious damage could be done and, after a year’s rest, she has been able to slowly return to running. Red-S can affect male and female athletes and became a recognised condition in 2014 – replacing another condition called female athlete triad, which recognised the affect of too few calories among sportswomen only. There have been few studies into the prevalence of the condition but it is understood to be most common in sports such as athletics, cycling and dancing, where being light could make a significant difference to performance. On Sunday, the #Trainbrave campaign is being launched to raise awareness of the risks of Red-S, particularly among promising amateur sportspeople who may be trying to improve their performance without giving enough thought to their diet. It was the same drive for performance perfection which led cyclist Sam Woodfield, 28, from Northamptonshire, to lose up to one-third of his body weight in a year, after taking up the sport in 2016. Having previously been a bodybuilder and a natural sportsman, losing some weight helped him to rapidly progress to a competitive level in the sport and he began to take it seriously. But his drive for better performance spiralled to the point that he was frequently enduring gruelling training rides without eating. For a time it worked but his victories came at a huge cost. By 2017 Sam had so little energy he could barely walk upstairs, he could not sleep and his mental health was suffering. He accepted he needed help and had a series of tests which revealed the true cost of his pursuit of performance. “I was told I had very low visceral fat around my body which is essential fat you need to keep you alive,” he says. Dr Nicky Keay, a sport and dance endocrinologist, says Red-S occurs when the athlete’s body does not have enough energy to sustain it and begins to shut down. She says: “The body partitions the energy you get from your diet. You need an amount to cover training, then the remaining energy is what you need for day-to-day life. “If you’re not getting enough spare energy you go into survival mode. Oestrogen levels drop in women and testosterone for men which is key for bone health. 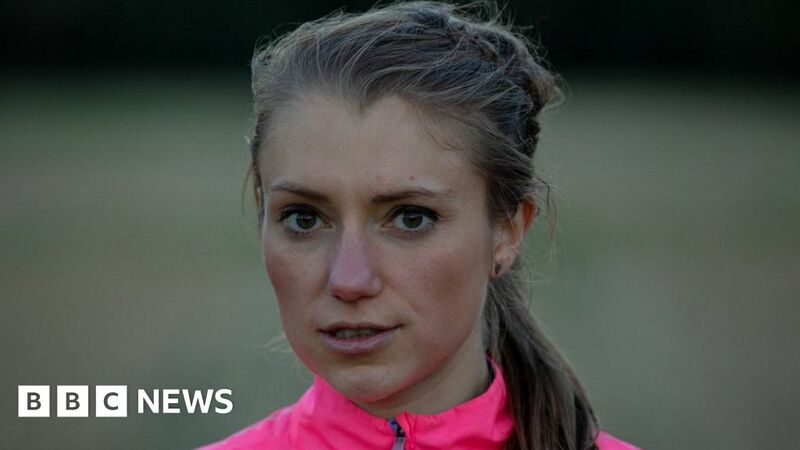 Five live Investigates asked British Athletics what it was doing to raise awareness of the risks among athletes. In response, it said it works with a number of partner organisations, including the English Institute of Sport, to ensure awareness and treatment of the conditions that are part of the Red-S.
5 live Investigates is on BBC Radio 5 live, 9 December at 11:00 GMT – catch up on BBC Sounds. Previous articleCan a two-day conference solve the world’s migration issues?